Lately, Thomas Friedman and a few others have been talking about pluralism and pointing out how extremist groups like ISIS live in a pluralistic world but have no concept of “pluralism”. They have no concept of the many viable approaches to life and knowledge and that these differences can coexist and thrive in non-rancorous competition. Liberal democracy is the political and communication condition most conducive to achieving pluralistic relations. I don’t mean to imply that Western democracy must be forced on Islam in some triumphalist sense, but it remains true that a diverse and respectful peace will not be achieved if one or both sides of the conflict hold a single overarching philosophical idea they consider unassailable and necessary to force on the other. A pluralistic mentality stresses the beneficial consequences of cultural differences and works to guard differences with legislation and accommodate all groups and centers of power as much as possible. This accommodation is steeped in argument and communication processes designed to incorporate minority views, respect differences, and work out solutions to competing demands. Pluralism as a political and communication theory emerges from the philosophical tradition of liberalism which challenged monism and dominant ideologies in favor of individual rights and especially the right to association and speech. Such rights are considered in the Western tradition “inalienable” since they cannot be given away. And pluralism requires a vigorous and healthy regard for discussion and communication to solve problems. 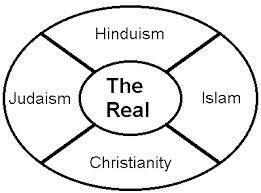 Pluralism remains a complex theoretical concept not in principle but in practice. The recognition of other sources of knowledge and power, and the argument for their advantages, even between Muslims and Westerners, is not that controversial. But the practice of pluralism is difficult and more controversial. And it is not the case that pluralism is simply the imposition of American liberalism. The logic of intercultural contact designed to solve or control conflict by definition requires the conditions of pluralism. Terms like compromise, mutual respect, accommodation, dialogue and deliberation, and other relational terms are all definitionally tied to the foundations of pluralism. Countries such as Germany, Italy, and Japan established the conditions of a pluralistic society after World War II and became increasingly stable. If politics is about the management of differences, then pluralism is the highest expression of the management of differences. Once you get past its noble expression of basic principles pluralism produces a messy and difficult system of working out problems and trying to achieve stability and morally balance interests. Then pluralism gets us to communication. Its basic principles may be foundational and quickly recognized, even if one selfishly ignores those principles, as the only acceptable moral philosophy. But after that, after the statements about respect for differences, the real lived world, the life-world of human beings, is subject to the communication process. The differences and divides that separate people can only be closed or moderated by the process of interaction. Hence, intercultural contact and all those activities designed to achieve peace or manage conflicts are discursive in nature. Participants in conflicts, carrying their arsenal of plurality assumptions, begin with incommensurability and cultural divides and move toward communication in its full expression. It is the communication process that reaches across the divides and the gaps that define differences between groups. Certainly communication is more contestatory in the beginning of the conflict management process but must proceed to dialogue and deliberation as conditions dictate. Some authors are clear with respect to the strong peace building and dialogue traditions of Islam. Muslim politics is not predetermined by a rigid category of religion that prevents them from inclusiveness, plurality, and dialogue for problem-solving. There is no way Islam can confront peace building without responding to issues in pluralism, secularism, and civil society. But too few people are aware of the work that has already taken place in this arena. Scholars have explained how there is no necessary contradiction between Islam and the embrace of pluralism and democratic processes. In fact, many Muslims admire Western engagement with secular knowledge and pluralism. Islamic principles of unity, mercy, subjugation of passion, and accountability emerge from the Koranic concept of nurturing alliances with other groups. And these groups are typically non-Muslims including Jews, Christians, and others. It is easy to make the argument that pluralism is a major issue for peace building in Islam. The discourse of pluralism and nonviolence is the cornerstone of interreligious dialogue and mediation of East-West differences. Posted on October 5, 2014, in Communication and Conflict Resolution. Bookmark the permalink. Comments Off on “Pluralism:” Another Powerful Theoretical Political Term Wrapped up As a Sweet Nicety.